Considering the fact that they're both absurdly prolific — and absurdly popular with the suburban youths of North America — it was only a matter of time before Macklemore and Lil Yachty would team up. The pair have joined forces on a new track called "Marmalade," and fortunately it offers the best of what both rappers have to offer. The song comes with plinky pianos and plenty of Yachty ad libs. 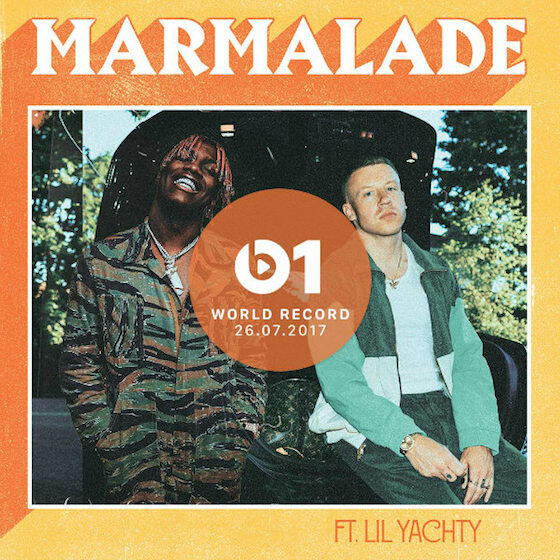 Listen to "Marmalade" below, complete with an interview between Macklemore and Zane Lowe. The song will appear on Macklemore's next album, which also features his single "Glorious."